I find it’s really helpful to keep all my party ideas in one place. Maybe I’m just a little crazy (ha) but for every party I plan I like to keep things organized all together. 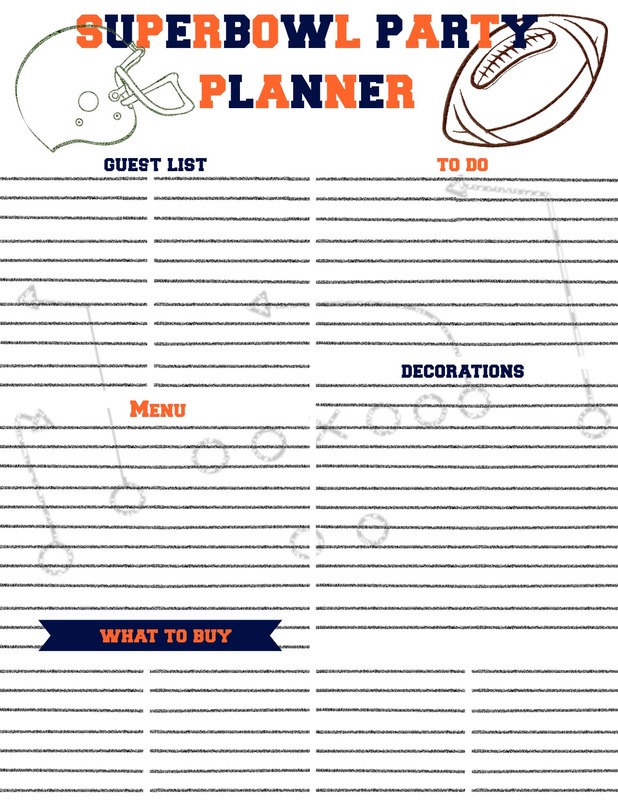 So as I get ready for Superbowl I thought a party planner would be the perfect idea! Since Saturday is going to be a major shopping and prep day, having the planner today means a couple days to gather my thoughts and then everything will be perfect for Saturday shopping. Anyways (that was starting to even creep me out with how neurotic it sounds) here is today’s download! You can use it finalize your guest list, jot down your menu, keep your shopping list on the same page as your plans, and make sure you’ve got all your decor written down so you don’t forget anything! As always, let me know if you have an issue and I’ll be glad to fix it for you!